Lynne Bolon Aidikoff passed away (cancer) November 23, 2012 peacefully at her home in Los Angeles, CA. 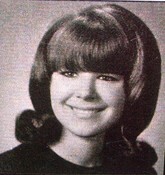 From Lynne's brother Doug: Lynne passed Friday 11/23/12, quietly at her home with family by her side. Memorial services are through Pierce Brothers Westwood Memorial Park in Los Angeles, Ca. Website www.pbwvmortuary.com. Memorial service will be at Westwood Presbyterian Church in Los Angeles, Ca. on Saturday, December 1st, 2012. If anyone has any questions, they can call me @ 865-705-7153 or email me at thebolons@yahoo.com. Lynne Rae Bolon-Aidikoff 7.1.48 - 11.23.12 passed away peacefully at her home in Westwood, CA on Friday November 23, 2012 with her beloved son and daughter-in-law by her side. 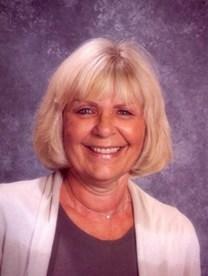 Lynne dedicated her life to her family, friends and students. She is survived by her son Jeff Aidikoff, daughter-in-law Jenny Aidikoff, brother Doug Bolon, sister-in-law Wendy Bolon and father Raymond Bolon. A memorial will be held at 10am on Saturday December 1, 2012 at Westwood Presbyterian Church. Thanks for the news, Larry. Happen to be listening to "Chilren of Somalia" by Nick Coetzee. It's a great sound for moments like this. Ahhhh - she will be missed. Fond memories of Lynn from 5th grade in Mr. D'Aliberti's class all the way to these past few years when we corresponded. I'd hoped to see her in person again. Thank you for letting us know Larry.